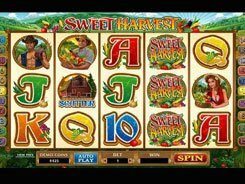 Online Slots Slots Games Directory Microgaming Bingo Bango Boom! 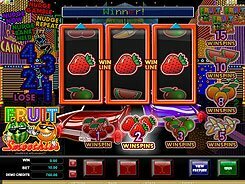 The three-reel Bingo Bango Boom! 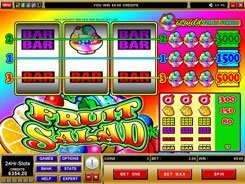 slot is yet another classic fruit machine by Microgaming. It has a single payline that accepts a single coin of an adjustable denomination of $0.1 to $10. 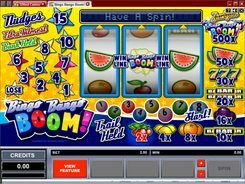 The symbols in the slot machine live up to its classic design incorporating the slot logo, bars, lemons, cherries, oranges, watermelons, as well as bingo balls. When the reels come to a stop, some symbols can create winning combinations paid out according to the paytable displayed to the right of and under the reels. The higher your bet is in money terms, the more valuable your cash prize is. 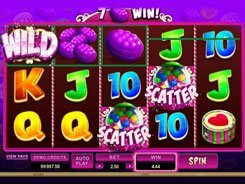 Despite the slot having three reels only, it offers a bonus feature triggered when eight bingo balls land on the reels. In the Bingo Bango Boom! bonus feature you are presented with a lotto card divided into 27 squares. A machine draws the numbers at random. If three of the drawn numbers match, you can be awarded a prize of x3000 times your total stake! PLAY FOR REAL MONEY! 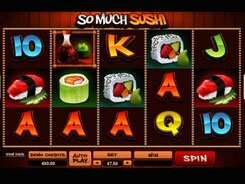 slots similar to Bingo Bango Boom!